Okay people, tell me I'm not the only one with "hair" problems in the morning! I was so happy to have two daughters so that I could play with their hair every day. NOT the case...my daughters react to a brush as if it were a ticking bomb. They run for the hills. Crazy, huh? I found Sophie's Lovely Locks, by Erica Pelton Villnave just before I lost my mind over the hair fiascoes this week. My rising temper came to a halt when I began to think of my little girls without hair. What if? Sophie's hair is fabulous. It's curly, shiny and flowing. However, it does have the tendency of getting a bit knotty...not fun. Sophie tries so many things to keep the snarly, pesky knots away, but has a very hard time. It's finally time for a haircut. But this time, it's a very special haircut. She donates her hair to little girls who don't have hair. Locks of Love is an organization that takes 10 inches or more of your hair and uses it to create wigs for those in need. Villnave shares information about this organization as well as two other programs involving hair donation at the end of her book. A portion of the proceeds of this book go to these organizations, as well. 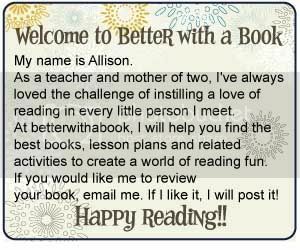 I love the idea of using a book to introduce kind acts. Why not get your children involved in such a thoughtful, giving experience? It won't be long before my little ones can cut 10 inches off! Who's it for? This book is suitable for children ages 5 to 8. It is hard to part with your own hair. However, any haircut will allow you to change slightly your image, make it original.